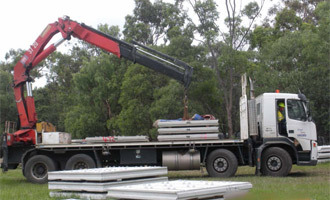 Crane-n-Carry offer Crane Truck Hire in Brisbane, Gold Coast, Sunshine Coast, Logan, Beenleigh, Toowoomba, The Lockyer Valley & Roma. 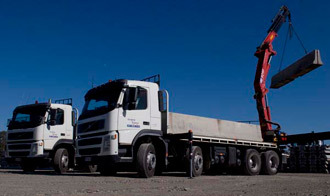 Our crane trucks are a fleet ranging from 6 tonne crane trucks to 50t GCM crane truck and dog trailer combinations. Crane-n-Carry is well equipped to provide the right crane truck for the job. We have over 20 years experience servicing South East Queensland, so you can be sure that Crane-n-Carry will get the job done right and on time. Crane-n-Carry has been built on a solid dedication to service and the attitude that no job is too big, too small or too difficult. We are proud to have been serving some of the biggest names in the construction industry. We have 20 years of experience in the business of logistics, warehousing, distribution, trucking and supply chain management services, and aim to provide our clients with convenience, reliability and affordability through our premium logistic services. 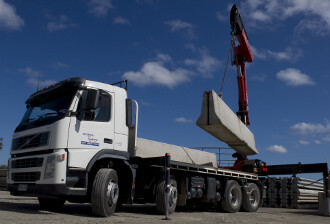 Crane n Carry was the primary transport company for the delivery and collection of concrete road barriers on the recent logan motorway upgrade. The job involved up to 4 truck and dog trailer combinations at a time often working through the night and moving as much as 500m of barriers in one shift. With the load capacity for 6 barriers per truck and a lifting capacity of 3.5t @ 10m our crane trucks made light work of the 4 tonne barriers. 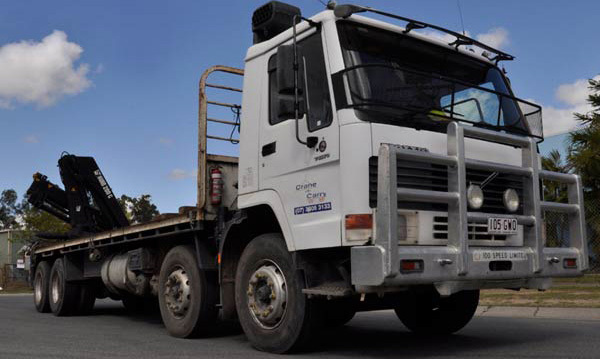 Crane n Carry was contracted by Safelink alliance to supply Crane trucks to sort, transport and install concrete panels for retaining walls on 5 bridges on the Ipswich motorway upgrade. With permanent hire of up to 4 vehicles. 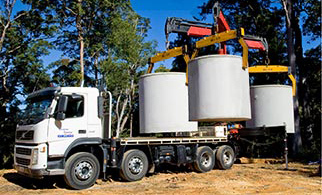 Crane n Carry are the primary carriers for both Quality and Taylex concrete tanks. In the 08/09 financial year we deilvered over 1000 tanks around Brisbane and as far north as Rockhampton. Call Crane-n-Carry Today (07) 3805 3133 or Request a Quote.